Like many goals in life the idea behind the 50 States started off small. We didn’t wake up one day and decide “I know… let’s run 50 Marathons in 50 States!”. Although this may come as a surprise to some of those that knows us. I loved it. 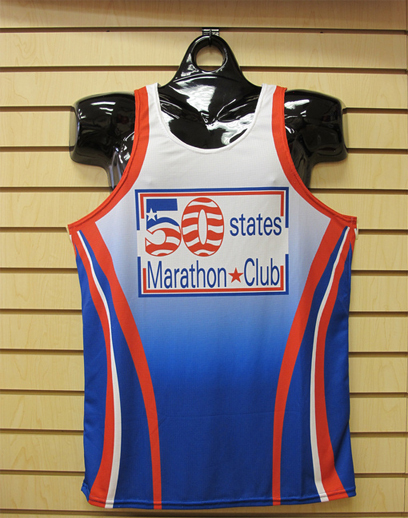 In order to be eligible to order and wear one you had to have joined the club, which you can only do after completing 10 States. That was my goal. I saved the picture of the vest to my desktop and every day I would see it. I asked Leah if she wanted to run 10 States so we could get the vests, I told her “of course I’m not saying we’d run all 50 States, that’s crazy, but 10 means we can join the club and wear the vest”. As we started on our journey for 10 States we started seeing people at runs in distinctive Marathon Maniacs gear. Who were these people and how do I get some of those tops? We soon learnt about the whole community of runners that set out to run marathons with a wide range of goals and abilities. We waited a few months to join the Maniac club, we wanted to start it at a good level, and finally joined in August 2013 straight in as 4 star Maniacs from completing 9 Marathons in 9 States within the last 365 days. We instantly became part of a big family and started recognizing faces (and being recognized) at a lot of the events we travelled to. We also started mixing with people more “crazy” than us. People who are beyond belief, like Larry, a gentleman in his 60s and one of the nicest guys we’ve ever met, who ran 255 marathons in 2013, beating his own World Record from the year before and adding on to his 1,300 total lifetime marathons. Then there’s Chuck, who has run over 300 marathons in under 3 hours, a phenomenal achievement topped off with the fact he’s run a marathon in all 50 States each in under 2:50. Then there’s also several “Titanium” Maniacs who have reached the club’s top rank, requiring ultra-dedication. We’ve met people who have completed all 50 States and are going around again and we also learned about the 50 Sub 4 Club, a club for people not only aiming to finish all 50 States but to do it while running each of the marathons in under 4 hours. Currently out of the club’s members there are only 54 people that have managed to complete and achieve it. 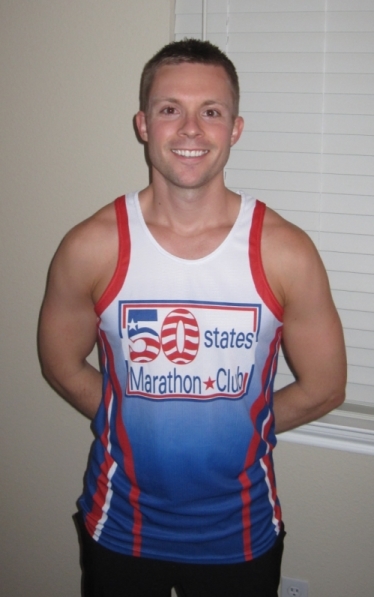 After completing the Pocatello Marathon on 31st August 2013 we had finished a marathon in 10 different States and were eligible for club membership. Receiving the vest felt like a huge milestone and by that point our goal had already extended to wanting to complete all 50 rather than just the 10! So that brings us to where we are today, when you spend enough time with people who shoot for the moon, you find yourself pushing beyond what you previously thought you were capable of. Not only that but it’s a fantastic way to see such a vast and varied country; visiting each of the States and taking in the different cultures, sights and getting the best guided foot tour of a town or city that you could ask for. We’re having some great adventures on this journey, battling through some tough runs and even while in pain, loving every minute.